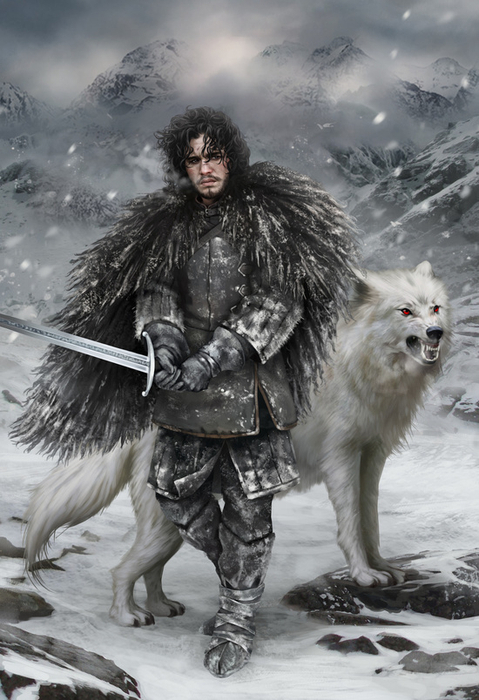 Jon Snow, the Lord Commander of the Night's Watch with his direwolf, Ghost. Ghost is an albino direwolf bonded to Jon Snow. He receives his name from Jon because of his white fur and the fact that he never makes a sound.